which is positive, i.e., north. Because the direction of the field line is customarily defined as that indicated by a compass needle, Eq. (H-22) is self-consistent. * This technique of computing ac is good to about 0.003° for I year on either side of the reference date. At times more" distant from the reference date, a new aco can be computed as described in Appendix J. Note that Oq,, is equal to the Greenwich sidereal time at the reference time of 0h UT. December 31. 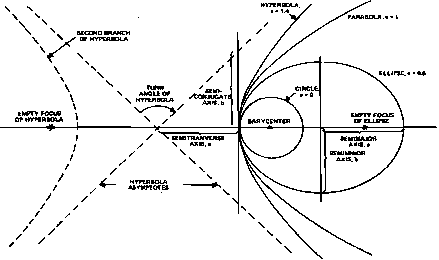 1978.
where J2 is the right ascension of the ascending node and i is the inclination of the orbit. Substituting Eqs. (H-27) and (H-28) into Eq. (H-22) yields the magnetic field in the l,b,n system. Although the equations are moderately complex, they can still be useful. Due to the simple form for R, especially for circular orbits, it is possible to analytically integrate the torque due to a spacecraft dipole moment as has been done for ITOS [Kikkawa, 1971]. As in Eq. (H-26), the minus sign in the orbit normal component, B„ assures the northward direction of the field lines.